Their origin roots back to the ancient times when it was the most precise time-keeping instrument for whole centuries long. Later on its role as decoration in parks, in castles, in gardens became just as important as its time-keeping function. 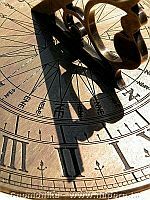 In the beginning the seeming movement of the celestial bodies made it possible to keep time, later the construction of sundials. 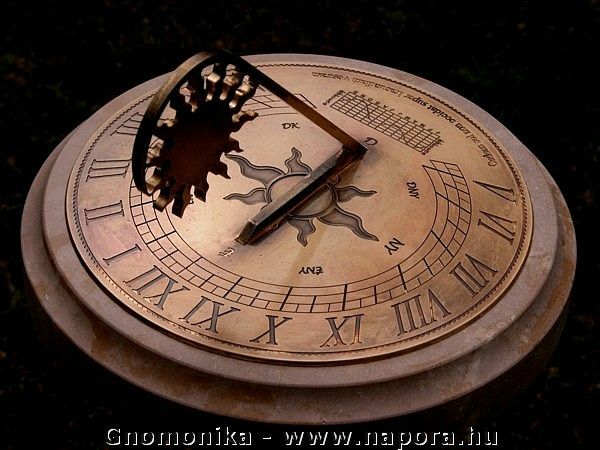 Their time keeping used to be and even today is based on the projection of the Sun’s movement. 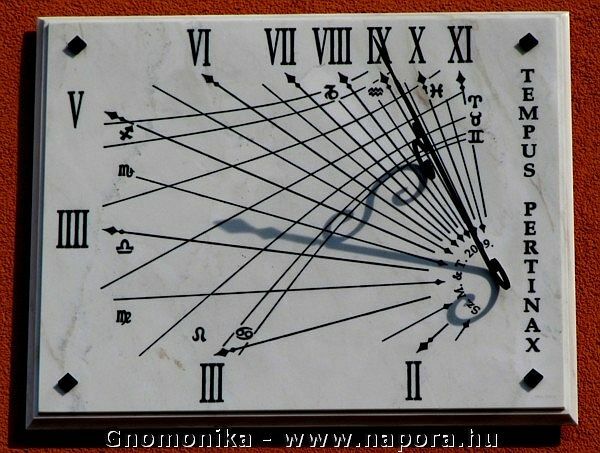 These sundials always showed the current local time. Even in the middle ages sundial served as the most precise time-keeping instrument up to the appearance of mechanic clocks in the XIX. Century. In the second half of the XIX. Century the zone-time was introduced. Corrected with degrees of longitude they improved to show zone times despite they had been replaced by more up to date time-keeping works. 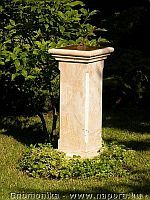 Numberless versions for sundials were manufactured, from the tonne-weight obelisk to the pocket-sundial, or to the even smaller “sunring”. 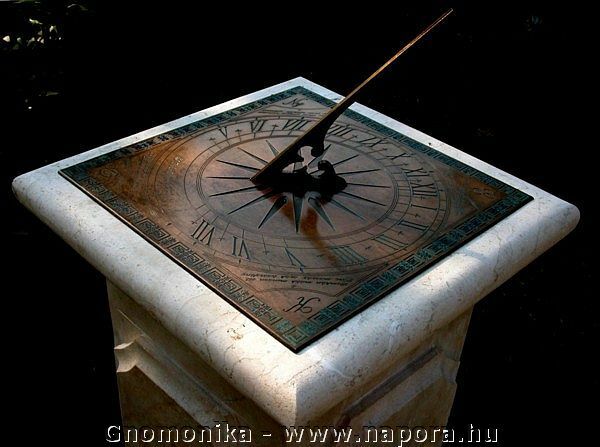 The art of manufacturing sundials is called gnomonicy while the “hand” is called gnomon. We can found sundials in all antique civilisations, in Babylon, Egypt, the Greek, - Roman Empire. Throughout history in certain ethnic groups it bore a significant part regarding climate, work, subsistence. Thus we inherited a great number of works from the territories of the North-West part of the present Spain, Syria, Lebanon, Egypt. This invention gained a deterministic role in the history of mankind, no wonder why we come across sundials at any places of the world. 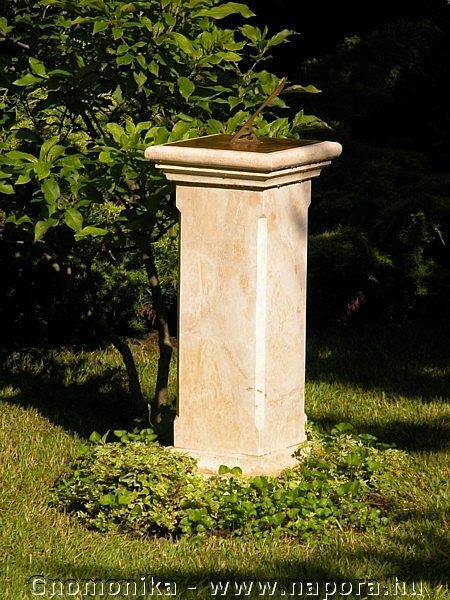 We would like to recall this tradition and with this work of art contribute to make our surroundings more attractive. tur vota diurno pectore sopito reddit amica dies."